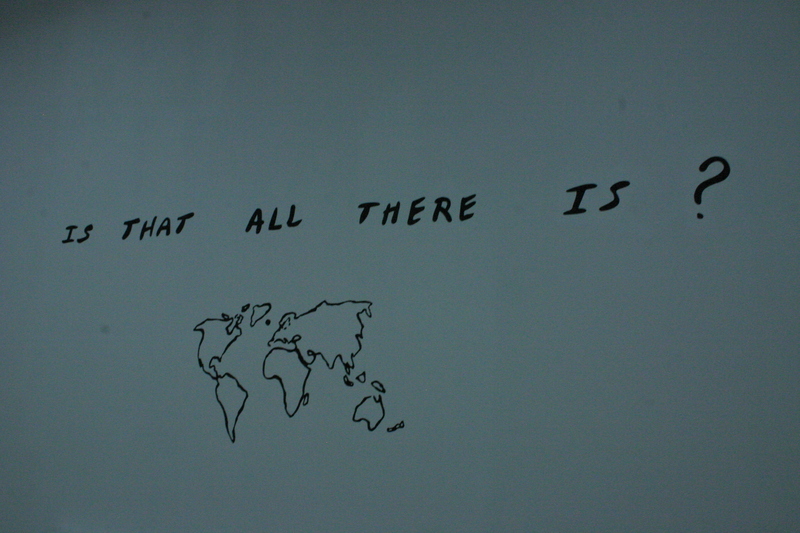 or maybe Jessica Diamond’s drawing against the wall said it all…. 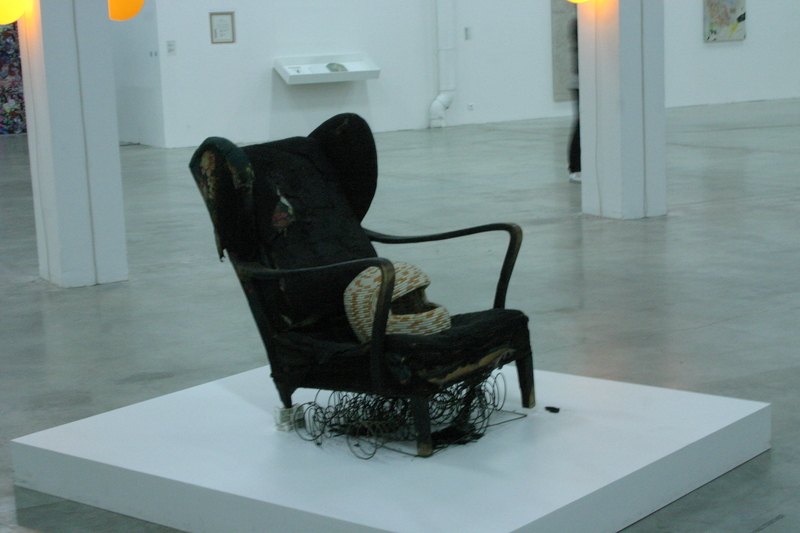 I am beginning to realize how difficult it is to curate such a big show, but this one left me tired and feeling stupid. So i googled the Turner prize winners just to become more acquainted with contemporary art, and the good old British put everything back into perspective. Then in 2006 Tomma Abts, a painter, is selected as the winner, and Tom Cornell of the Scotsman writes: After years of unmade beds (Tracy Emin) pickled sheep (Damien Hirst) and light bulbs that switch on and off, Britain’s most prestigious prize has been won last night by the most unlikely of artists – a painter. 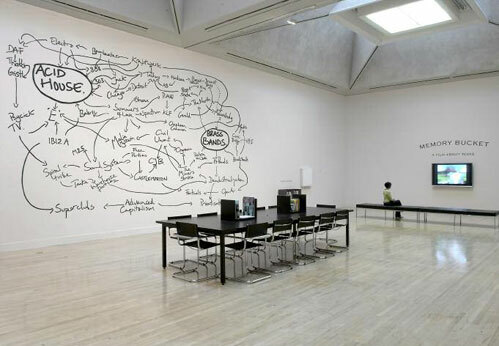 The picture on the wall is the work by Jeremy Deller that is doing so well for him. In yesterday’s Sunday Times i read an article about Jeremy Deller, another Turner prize winner. Here’s what happens to these winners; Four taxpayer-funded collections have each bought an identical print of this artist’s work. With every purchase, the price went up. First it cost 250 pound in 1998. Finally the GAC bought one for 6000 pound. Deller is at the forefront of a campaign by artists to ensure public spending on the arts is not cut. Any guesses why?